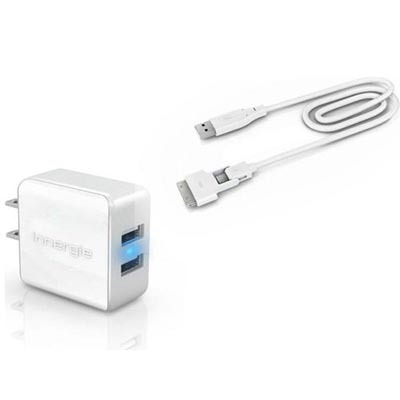 The mMini Combo charger is another dual port charger that aims to make the life of a traveler easier. The charger is rated at 15W AC and both ports are smart-charge enabled, which means your iPad will charge at the fastest speed it can handle. 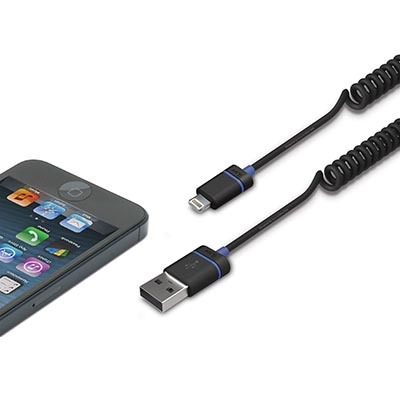 There are no lightning cables included, but there is a clever dual-head cable that can switch between 30-pin and micro USB modes. The cable is of course now essentially obsolete, so you may as well chuck it unless you are still running a 30-pin device. The charger itself seems to be quite good, with a solid construction and proper fast charging. Customers report that this charger is reliable, well designed, and widely compatible with many USB devices. The price is also solidly in the impulse buy zone, so really there is no reason not to get one or two of these; throw them into a bag or keep them plugged in behind a desk. I’m naturally skeptical of any sort of cable that refers to itself as premium, especially if it makes unwarranted claims about audio performance. Here’s a tip – it doesn’t matter if you plug a gold-plated cable into your decidedly not-gold-plated connector in your Toyota. Anyway, this is a five dollar cable, so I guess “premium” is a relative term. 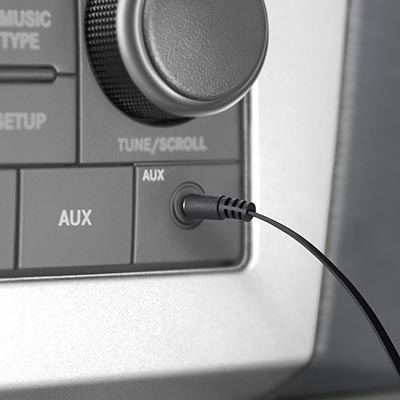 Since this cable is braided, it is especially suited for using in your car since the braiding won’t perish in the sun. People experience clear audio and limited tangling. What more can I say, this looks like a good audio cable. Believe it or not, there are devices out there that will not connect to your fancy wireless tablet and sometimes you’ll be forced to use a long flexible piece of copper like some sort of primitive cave person. So if you have to do that anyway, why not do it conveniently? That’s why I like this retractable cable from Belkin. They have taken an everyday, simple device and made it less annoying and more useful. The cable is coiled around a spring-loaded pulley that you can use to adjust the length to whatever you need and no more. Great idea! Unfortunately it turns out that the retraction mechanism on this one is a bit fragile. Quite a few people have been a bit overzealous on the retraction and, well, broke it. Still, it’s only a few bucks so if you’re gentle it could be a great addition to the gadget bag. That’s why I like the idea of a dual socket charger. It goes into the lighter socket as usual (because who actually still smokes, right? ), but provides a 1 amp and a 2.1 amp socket at the same time. This means your passenger can charge their smartphone on the lower powered socket while you charge your iPad on the more powerful juice supply. I’ve noticed for a while now that iLuv really brings out some innovative things when it comes to i-device accessories. I really like the design of this dual socket quick-charge wall unit. It really looks like it could have been made in Cupertino. There are two sockets, one with higher amps for your iPad and one that’s less enthusiastic for your iPhone. This is a great idea both as a permanent bedside fixture or as a travel accessory for those of us who have realized that some hotels are notoriously stingy about how many wall sockets they give you. It’s not like we’re going to cook in our hotel rooms and run up the bill. I mean, I only did that, like, the one time. Its traveling credentials are further bolstered by the fact that you can swap out the plug and adapt the unit to different international standards. It can also operate on grids that run between 100V and 240V. The plug base also swivels, so you can fit it into all sorts of places. Just don’t forget it in your hotel room – that would be bad. The Rockwall is pretty affordable at well under twenty bucks. Invest on one or two and you won’t be caught chargeless again. The Sydnee is a product that I have had my eye on for a while now. 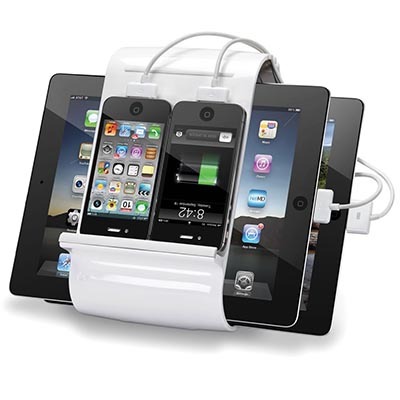 It’s a charging stand that lets you stack up to four devices and charge them at the same time at 2.1A. I can imagine putting this in a place where people in my house would just come and plonk their iPads down to charge, freeing the house of random chargers all over the place. The Sydnee is an elegant solution to this problem. 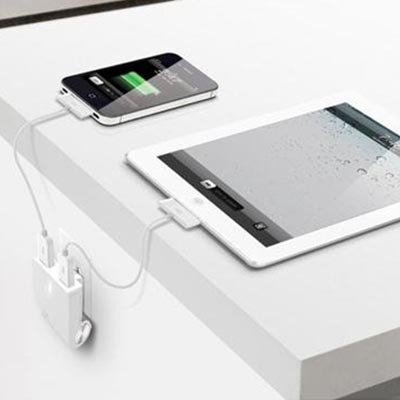 You can charge four iPads at the same time, and of course things other than iPads. The Sydnee is definitely meant for iOS devices, though, and will automatically detect their different charging needs and adapt accordingly, so that charging times are kept to a minimum. It also provides excellent cable management. Once you have it set up you can say goodbye to cable clutter. You don’t even have to provide the cables, as the product comes with three certified Apple cables in the box, although these seem to be 30-pin cables and not lightning, so perhaps not so useful anymore, unless they update it. One major gripe I have with the Sydnee is the unreasonable price tag; especially since many customers have indicated that the build-quality is not fantastic, with glue failure and a buzzing power supply in some cases. Of course there are plenty of customers who have had no problems at all, but these problems are there for some. 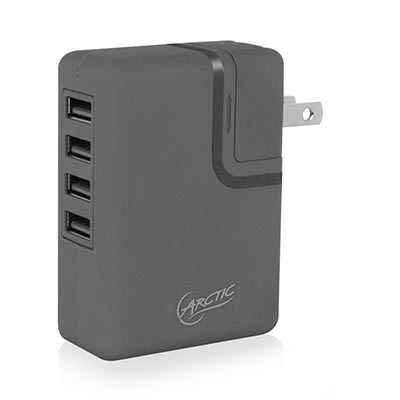 When you need to charge four things at once, but don’t want to drop nearly $200 on the Kanex Sydnee, this Arctic Pro 4 may catch your attention. 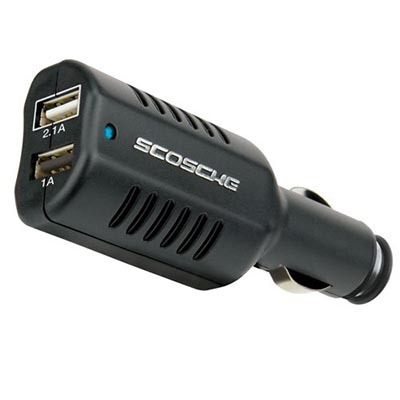 It is dirt cheap; cheaper than most of the dual socket chargers out there. So it seems like a pretty good deal. Apple’s frugality in bundled chargers and cables turn out to be not such a bad thing. We are spoiled for choice when it comes to setting up more pit stops for our tablets. Hopefully you’ll find the right product to make your iPad lifestyle easier right here. So, go forth and accessorize!